HONG KONG, 14 May 2018 – Computime Group Limited (“Computime” or the “Company”; stock code: 0320) reached another milestone in its transformation into a technology-driven company with the relocation of its corporate headquarters into Hong Kong Science Park. Hong Kong Science Park is regarded as a major hub for Hong Kong’s innovation and technology (“I&T”) sector, with world-class infrastructure and home to some of the top talent and facilities for research and development (“R&D”). There are about 9,000 engineers and technology innovators involved in R&D at the Park every day, designing and testing solutions in artificial intelligence (“AI”), robotics, Internet of Things (“IoT”), biotech and data analytics. Computime’s move not only reflects the Company’s business expansion, but also puts Computime right in the heart of one of the most vibrant I&T ecosystems in the Greater Bay Area in southern China. The Company will now have greater opportunities to engage and share knowledge with 600 companies and start-ups, spark new ideas with the aim of initiating potential partnerships and collaborations for innovative products. To kick off this new milestone for the Company, Computime co-hosted a forum on “Advancements in Data Analytics” with Hong Kong Science and Technology Parks Corporation (“HKSTP”) today. Attendees included Hong Kong Government officials, academics, investors, analysts and industry peers. The Forum highlighted presentations and discussions on machine learning, a form of AI, and its impact on everyday lives. Computime shared its insights and expertise in interconnected technology and data analytics with other global experts in the field. Computime embarked on its transformation journey over 10 years ago, when it began transitioning from a traditional electronics manufacturer to a global technology company. As a home-grown Hong Kong enterprise with over 40 years of heritage, the Company has always carried a forward-looking vision to be dynamic and embrace a fast-changing technology landscape. Foreseeing the high potential growth of IoT and Smart Living solutions, the Company invested heavily in R&D initiatives, establishing R&D facilities in Hong Kong, Shenzhen, Cincinnati and Silicon Valley. The Company has since developed expertise in advanced electronic control and wireless connectivity, providing sophisticated solutions to complex engineering and manufacturing challenges for its Electronic Manufacturing Services (“EMS”) customers. The Company also launched SALUS, a line of smart home connected products that are distributed and sold in Europe and North America. Computime’s efforts recently began to bear fruit with wider market recognition. 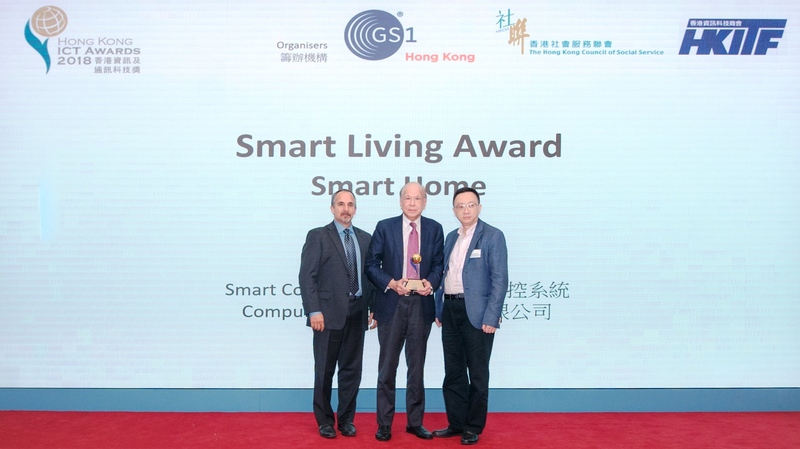 Its SALUS Smart Comfort System, a first-to-market IoT solution that focuses on home comfort, won the Gold Award in the Smart Living Category of the prestigious Hong Kong Information and Communications Technology Awards 2018. Dr. King Owyang, Computime Group Limited Executive Director and CEO (right), together with Mr. Donald Mak, Assistant Government Chief Information Officer (IT Infrastructure), Office of the Government Chief Information Officer, HKSAR Government (left), kicked off the opening of the Advancements in Data Analytics forum.